According to a church website and local media, Reddin is part-time pastor of Turner Street Baptist Church in Springdale, Arkansas, a congregation affiliated with the Baptist Missionary Association of America, a network of about 1,200 conservative Baptist churches based in Conway, Arkansas. It is unclear how long Reddin has been preaching at Turner Street, but an index of sermons on his pastor blog includes message dates as far back as 2012. Reddin’s new arrest comes amid a time of reckoning for the Southern Baptist Convention involving the apparent ease with which sexual predators are able to manipulate the denomination’s free-wheeling system of local-church autonomy and voluntary association to gain access to potential victims. The SBC International Mission Board is preparing for an outside independent review of its internal handling in 2007 of a missionary credibly accused of sexual abuse who afterward continued to serve in Southern Baptist churches and a denominational office until shortly before his arrest on criminal charges in July. SBC President J.D. Greear recently announced that he will form a presidential study group on issues related to sexual abuse, sexual assault and domestic violence in partnership with the Ethics and Religious Liberty Commission, a convention agency led by Russell Moore. The ERLC is also considering a request from this summer’s SBC annual meeting for additional resources to help protect Southern Baptist churches from sexual predators. A decade ago the SBC Executive Committee recommended against establishment of a pedophilia database, claiming that because of the principle of local autonomy the convention cannot compel churches to report any information and that data submitted voluntarily would likely be incomplete. Reddin, as he appears on his pastor blog at Turner Street Baptist Church. According to his pastor blog, Reddin is a 1989 graduate of Southwestern Baptist Theological Seminary in Fort Worth, Texas, and has pursued doctoral study at Midwestern Baptist Theological Seminary in Kansas City, Missouri. His previous churches include Central Baptist Church in Conway, Arkansas; Elmcrest Baptist Church in Abilene, Texas; and Pines Baptist Church in Quitman, Arkansas. At the time of his 2000 conviction, Reddin had recently served 16 years as pastor of Barcelona Road Baptist Church in Hot Springs Village, Arkansas. 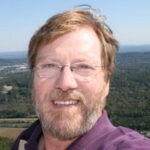 Reddin also identified himself as a part-time instructor in American history and government at Ecclesia College, a private Christian school in Springdale, Arkansas, recently linked to a public corruption kickback scheme that landed three former state legislators and the former college president in prison. Ecclesia’s board of regents includes the controversial evangelical historian David Barton, singer Pat Boone and author Eric Metaxas, along with H.D. McCarty, who formerly served 39 years as senior pastor of University Baptist Church in Fayetteville, Arkansas. Reddin is also listed as chaplain and a governing council member by the Singing Men of Arkansas. A member of the choir told Fort Smith TV station KFSM channel 5 that the singing men knew about Reddin’s past conviction, because he talked about it during prison ministries. Ecclesia College said in a statement to local media that the school’s normal practice is to run background checks on all potential employees and volunteers, but officials did not discover Reddin’s record until media contacted them about his latest arrest.